This article addresses the necessity of letting the Holy Spirit lead our lives as children of God. It shows the challenges we face in doing this and how to overcome them. It also details some dangers of failing to submit to the Spirit’s leading. We thank God for the author, Ziri Dafranchi, and pray for more grace upon his life and ministry in Jesus’ name. This scripture provides a very simple answer to the question, “Who is a child of God?” In many religious circles today, as with those before, this question is a big bone of contention and the subject of many controversies. But the answer is very simple. The keyword here is ‘led’. It doesn’t say as many as are filled with the Spirit of God. 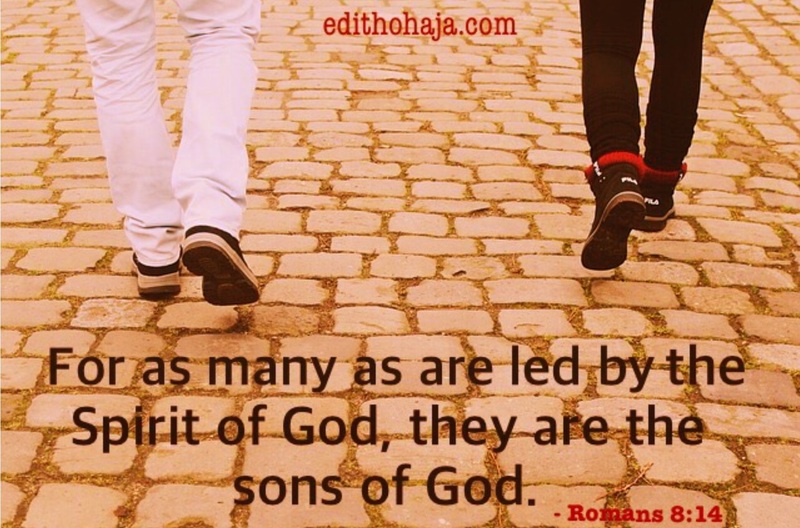 Well, to be led by the Spirit of God, you must first come into contact with Him. Establishing contact, however, isn’t the parameter here but obedience through following His leading. You need to pause for a moment and digest this. This relationship would’ve been easy and smooth sailing but for our minds. The mind is in contention with our spirits and is the battlefield of/for our lives. It is through our minds that the devil makes contact with us. Through our minds, the devil tries to resist the Holy Spirit as He relates with our spirit. The battle of good versus evil is fought in our minds. Anybody can live a mind-controlled life even a Spirit-filled Christian! It takes a conscious effort for anybody to be in tune with their spirit, it doesn’t just happen. Similarly the mind can be brought under control so that one can limit its influence. For these to happen, however, one must first realise their current state (mind-controlled or in tune with their spirit), the importance of being in tune with their spirit, and also be willing to discipline the mind and acknowledge the spirit. Remember God relates with us through our spirit. This is a choice every believer must make because God has given us self-will. Do we want to live a Spirit-led life or do we want to run our lives with our minds, while in actual fact the devil is remote controlling us? The choice we make determines whether there will be harmony between us and God, the kind of fruit we bear and where we spend eternity. So we need to choose as God directs in His word, to be led by the Spirit for our own good. How then can we discipline our minds so that they become subject to our spirits rather than controlling our lives? By renewing them through feeding and meditating on the word of God as well as by dwelling on wholesome thoughts. That is what is expressed in the following scriptures. For a Christian, the dangers that living a mind-controlled life attract can be quite grave and even life-threatening. As we discuss these dangers, reflect on their opposites because they are the benefits that accrue to those who live a Spirit-led life. <> As we saw earlier, it makes someone hostile to God and His word. A mind-controlled believer is what the Bible calls a carnal Christian, one who prefers the ways of the world to the ways of God. Such a person will resist obeying God and will not bear the fruit of the Spirit. In short, he or she will be a Christian in name only, bearing no semblance to God or our Saviour, Jesus Christ. Romans 8:6-8 above refers. If the person persists in this lifestyle, they risk eternal damnation. This is why Galatians 5:16 commands us to walk in the Spirit so that we shall not gratify the desires of the sinful nature. <> It makes people vulnerable to deception. Such people tend to ‘stamp’ God on personal thoughts, ideas and visions. They assume God has spoken while in fact it’s their own minds playing tricks on them. This is the reason we have a lot of souls lost in the wilderness of delusion and the valley of confusion. They really haven’t got a clue but they just puddle on aimlessly in vain hope. But sometimes, a greater danger arises because these people share these words purportedly received from God with others and mislead them. It happened with the false prophets in Jeremiah’s day who were living in sin and prophesying peace to the people while destruction was hanging over them, thus preventing them from repenting and averting the judgment of God. We see this plainly in these verses from Jeremiah 23. Even when the person concerned is not living in the kind of open and blatant sin described in the foregoing verses, receiving ‘prophecies’ or any kind of ‘divine assurance or direction’ from mind-controlled believers tends to lead to disappointment and sometimes tragedy. <> Another danger (though related to the preceding one) is that mind-controlled people rarely have access to accurate discernment and leading that comes from the spirit. Their spirit is more or less ‘shut off’, remember? Our spirit, however, is readily accessible to us if we have renewed our minds. It is right inside us but very deep down so you have to probe a bit further to access it. Sometimes it speaks and we call it intuition or gut instinct. How many times have we made up our minds about something but still something deep inside us isn’t satisfied with the decision? The spirit is that still small voice that begs to be heard deep inside us. How many people fail to experience these gut instincts or fail to comply with them only to later regret? That is the lot of the mind-controlled person who rarely recognises this voice because his spirit is submerged. He makes his calculations rationally, deprived of the vast benefits accruing to those who can tap into the spirit realm. <> In addition, we need to get in tune with our spirits because it is there that our purpose in life and our destiny are imprinted but mind-controlled people are incapable of doing this. Without discovering our purpose in life, life is meaningless and a bore. Without knowing your destiny, you’ll just be blown around by any wind that comes by with the result that you will be very busy going round in a circle with no real progress. We don’t decide what our purpose will be just as we didn’t decide whether or not we’ll be born into the world. The Holy Spirit alone knows the way to our destiny, hence the necessity of letting Him lead us and the importance of us following His leading. Don’t be controlled by your mind anymore. Renew it with the word of God and get in tune with your spirit because God is waiting for you there! The scriptures in this article were taken from the King James Version of the Bible unless where otherwise stated. Ziri Dafranchi is an author; a firm believer in God, who is passionate about practical Christianity, founded in unconditional love for all. He is committed to the freedom of mankind through the proclamation of divine truth. 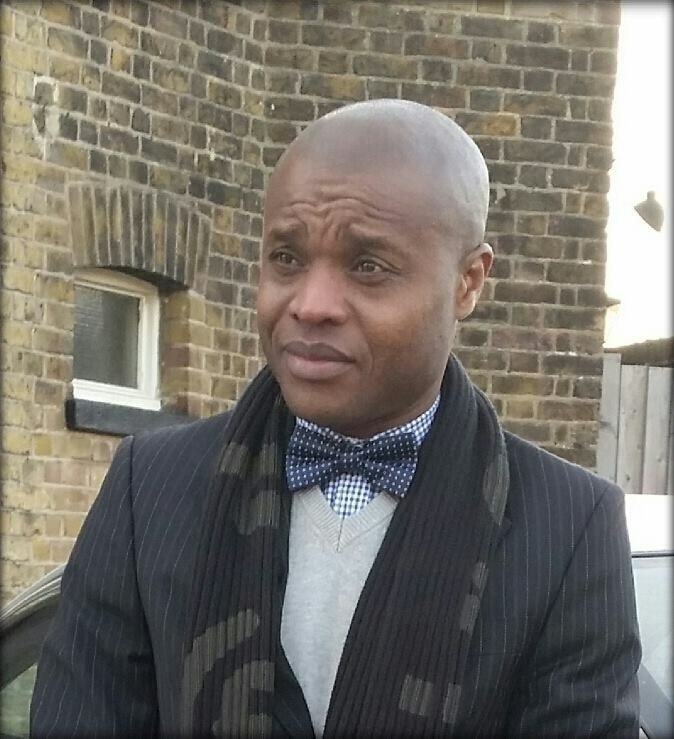 Dafranchi currently lives in London, UK. He has a new book out entitled “Life: A Mystery Solved”. We should allow the Holyspirt to lead in our lifes. WE DIDN'T DECIDE WHAT OUR PURPOSE WILL BE JUST AS WE DIDN'T DECIDE WHETHER OR NOT WE'LL BE BORN INTO THE WORLD...... THE HOLY SPIRIT ALONE KNOWS THE WAY TO OUR DESTINY.....HMMM.I LIKE. Jesus is the way, the truth and the light!!! Nice work Ma. Only those who are born of the spirit can call themselves children of God. The lust for earthly material is the devils tool. We should be wise. Thank you Ma. The Holy spirit knows the end from the beginning, He knows the road to our destination. if we allow Him to take the wheel of our lives, we will enjoy our walk with Him. Thank you so much for this write up. I really enjoyed it.